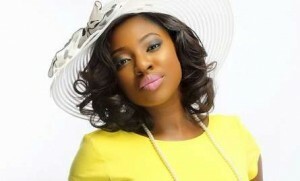 Yvonne Jegede has welcomed her first child with husband, Olakunle Fawole popularly known as Abounce. The Nollywood actress took to her Instagram account on Thursday, November 1, 2018 to share the good news with fans and family members. Reports said that the little toddler is a boy. They were officially joined as husband and wife in a civil union in Lagos on February 8, 2017. The couple’s first child is coming two years after the death of Abounce’s mum and veteran actress, Bukky Ajayi. Abounce proposed to Yvonne on August 25, 2016 during her birthday. Yvonne is known for the movies, “3 Is Company”, “Missing Angel 2” and “Under the Sky 1&2”.